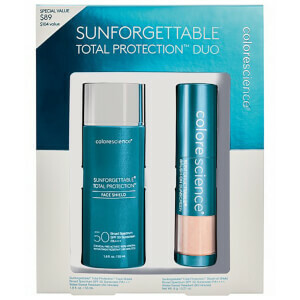 Achieve lasting beauty with our tinted sheer creme, Tint du Soleil, with all-physical sun protection SPF 30. Our antioxidant-rich formula protects skin and gives sheer foundation coverage, while providing nourishing vitamins to improve the overall health of skin. Apply two pumps to a dry or primed face using fingertips. See product package for detailed usage instructions. Titanium Dioxide 4.8%, Zinc Oxide 6.7%. Cyclopentasiloxane, Water/Aqua/Eau, Mica, Caprylic/Capric Triglyceride, Dimethicone Crosspolymer, Dimethicone, Glycerin, Lauryl PEG-9 Polydimethylsiloxyethyl Dimethicone, Dimethicone/Vinyl Dimethicone Crosspolymer, Butylene Glycol, Silica, Tocopheryl Acetate, Glyceryl Linoleate, Glyceryl Linolenate, Retinyl Palmitate, Sodium Ascorbyl Phosphate, Palmitoyl Tripeptide-1, Palmitoyl Tetrapeptide-7, Ceramide NP, Lactis Lipida (Milk Lipids), Ahnfeltia Concinna Extract, Dimethiconol, Cyclotetrasiloxane, Jojoba Esters, Lauroyl Lysine, Glyceryl Behenate/Eicosadioate, Pelargonium Graveolens Flower Oil, Cananga Odorata Flower Oil, Fusanus Spicatus Wood Oil, Sorbitol, Lecithin, Polysorbate 20, Triethoxycaprylylsilane, Polyhydroxystearic Acid, Alumina, Xanthan Gum, Carbomer, BHT, Sodium Lactate, Disodium EDTA, Sorbic Acid, Sodium Benzoate, Chlorphenesin, Sodium Dehydroacetate, Chlorhexedine Digluconate, Glyceryl Caprylate, Caprylyl Glycol, Phenoxyethanol, Phenethyl Alcohol, Farnesol, Linalool, Iron Oxides (CI 77491, CI 77492, CI 77499). i have oily skin and large pores. this foundation smooths out the texture of my skin and is not oily, but matt. i love it, its the best! no going back.